I was down to my last days of my travel in Thailand when I went to Bangkok. My initial plan was just to make a stop over for a few hours then fly back to my home country. But then I’ve thought, why not stay in the city first for a night and have a lovely staycation or maybe go to the places that I’ve missed visiting the first time that I’ve been here. Seeing the city once again gave me the similar surprising feeling of how amazing this destination was. It was still the same city atmosphere that I have fallen in love with. 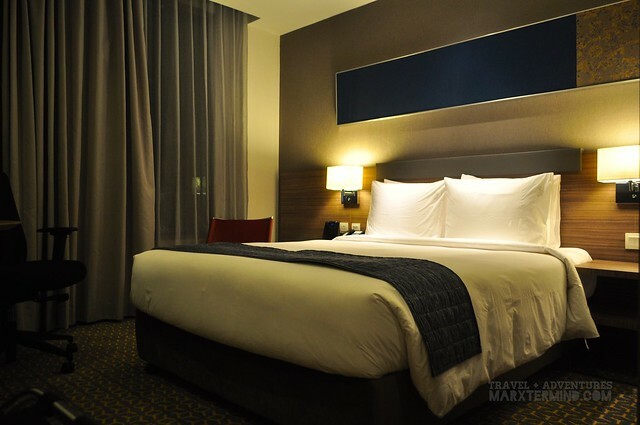 Although I haven’t moved around too much on my third visit, the thing that I had admired that time and made me appreciate my vacation further was my stay in one of the nicest hotels in the city. Bangkok is a huge city. Certainly! It has several districts that contain some sightseeing, restaurant, nightlife and commercial spots. With several places to go and a vast area to explore, then it becomes difficult to choose the ideal place to stay. Additionally, security, accessibility, value and comfort must be taken into consideration. 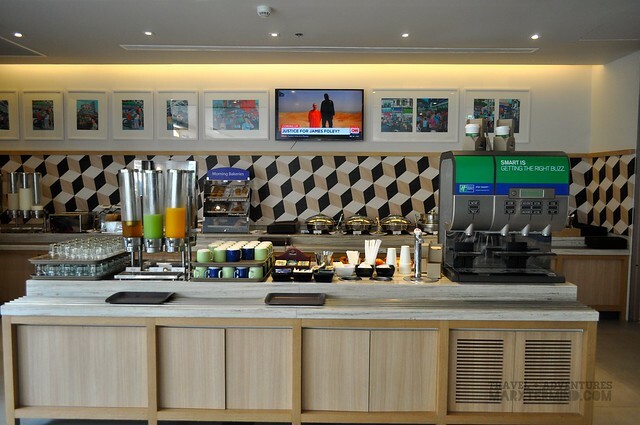 That’s why I was so grateful when finding out about the newly opened Holiday Inn Express Bangkok Sathorn. 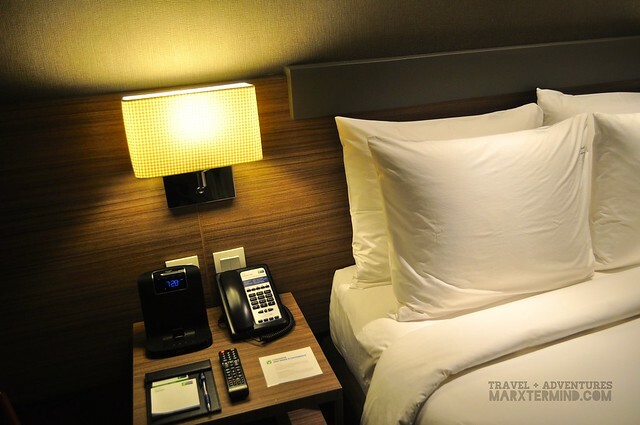 Staying on this hotel gave me ease, value, safety, and convenience – everything that I am looking for a right accommodation while traveling. 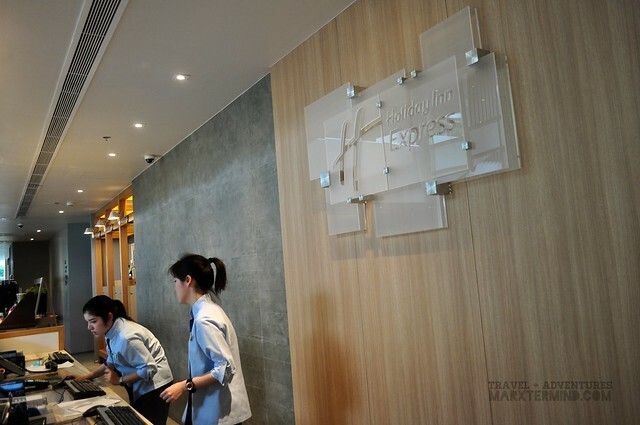 Holiday Inn Express Bangkok Sathorn is one of the newest hotels in Bangkok that is situated in Silom area. 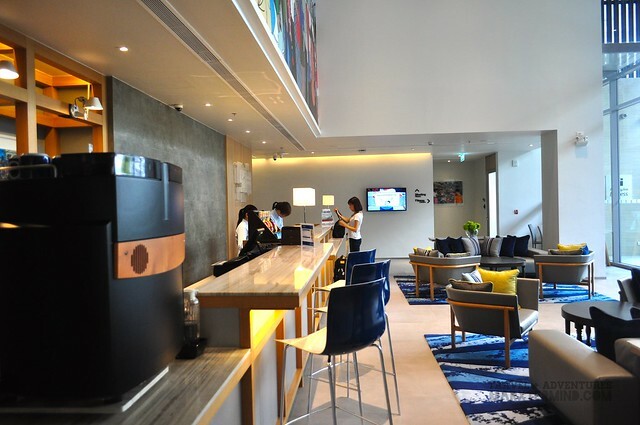 The hotel is a right fit for leisure travelers as well as for business tourists. 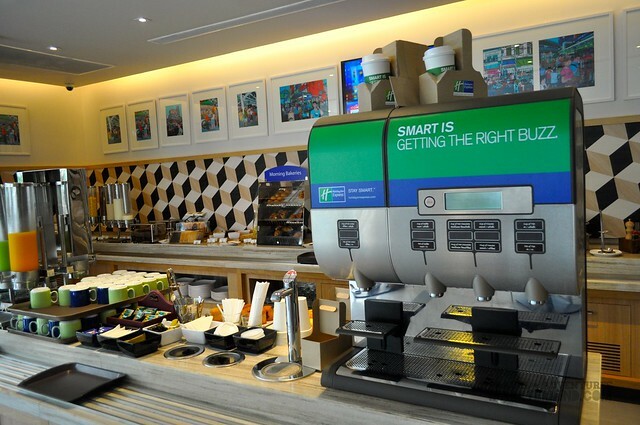 The Holiday Inn Express brand is more affordable than any of its other hotel brands, yet still providing a smart comfort and great service that Holiday Inn Hotels are committed to. 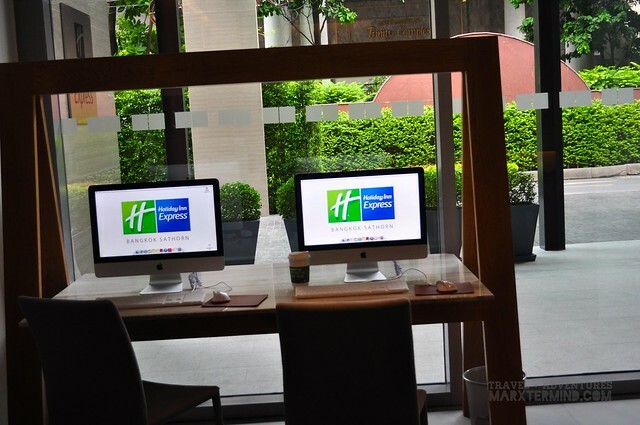 The hotel is strategically located in a major district of the city that offers an easy accessibility to the city center and the rest of Bangkok. In fact, it is just 30 minutes drive from the city’s major airports. 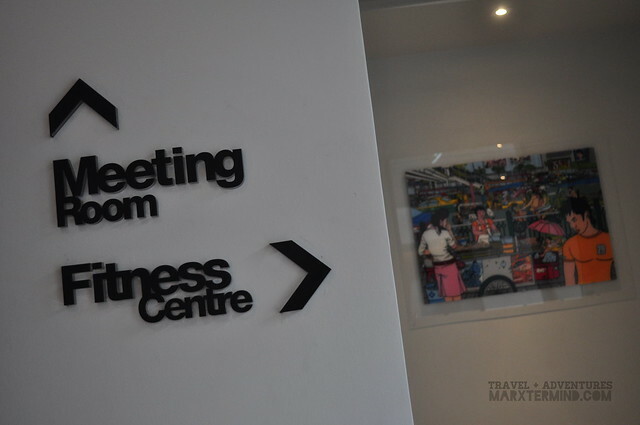 Coming from Don Mueang International Airport, my commute going to the hotel was easy and convenient. Locating it upon exiting Chonnosri BTS Station was stress-free. It was just actually few walks away. 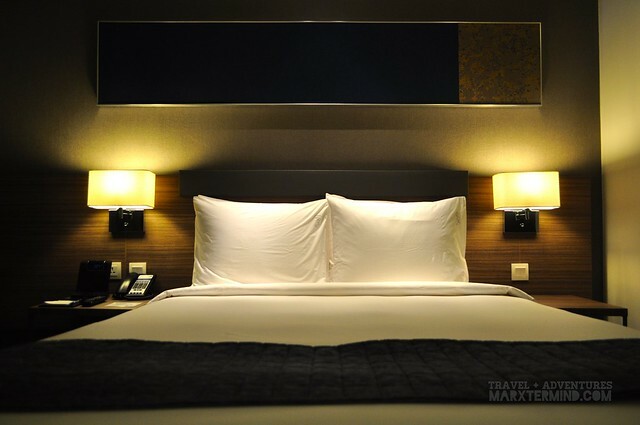 Seizing a great location nearby a city train station, the hotel has become even more accessible to shopping areas, entertainment venues and famous tourist attractions of the city. It was already nearing nighttime when I had arrived at the hotel. Checking in was a breeze. I was able to have my room right away, which was a Standard Room with a queen bed. 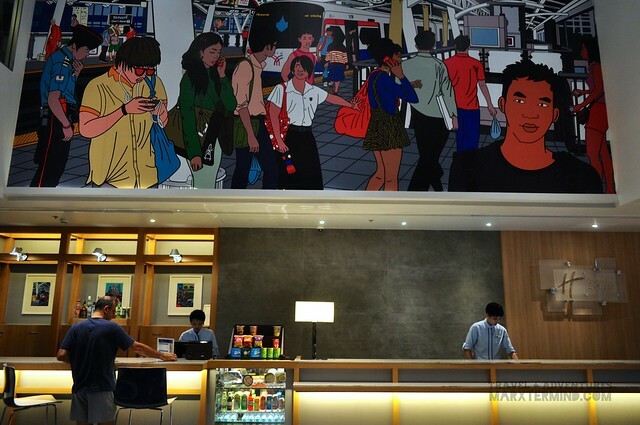 This new hotel has 184 brand new rooms, which comes in two types – Standard Room and Superior Room. 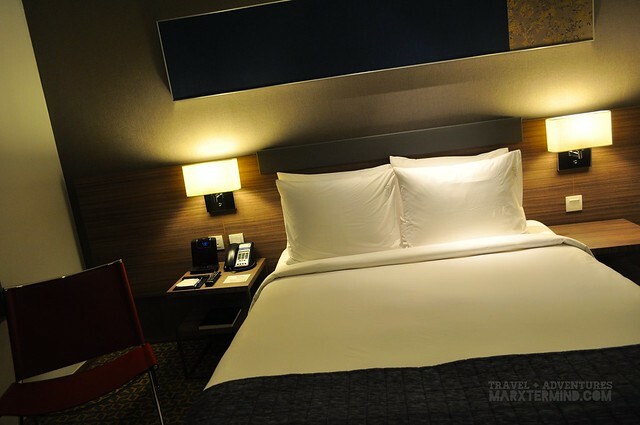 Standard Room is 19 square meter room while the Superior Room is 30 square meter room. 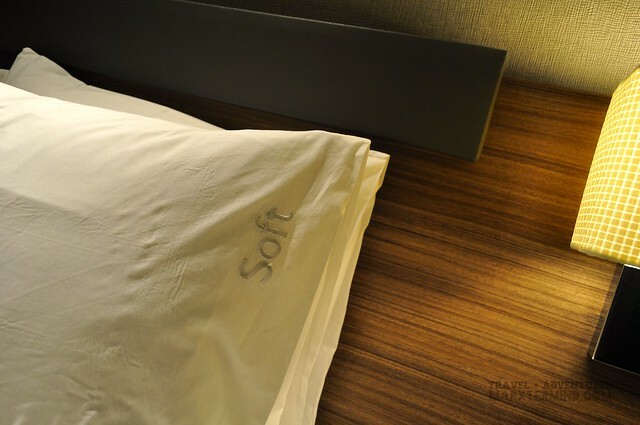 Each room has of course bed with comfortable bedding and soft pillows. The bed may come in two single beds or one queen bed. 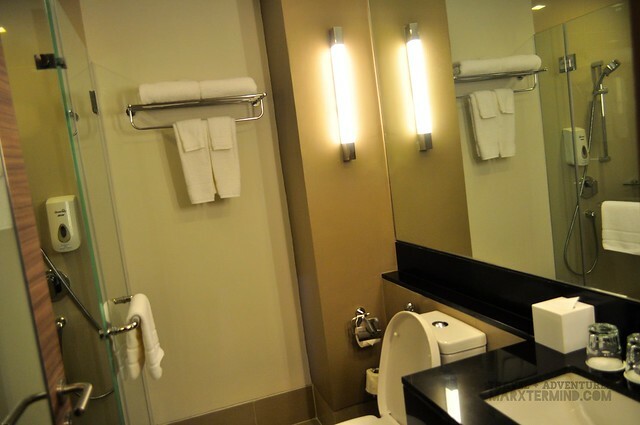 The room also has private bathroom, mini refrigerator, Cable TV and iPod dock. Room also features tea and coffee maker, safe and friendly workspace. The look and features of my room were so pleasant and cozy that in some point it made me so lazy to get out. The thought of just staying in my room for the rest of the night, and maybe watch a TV and snuggle in bed was just so comforting. However, I had friends to meet who were also in Bangkok. Well after a few hours of feeling the coziness of my bed, I came out with my friends and visited the nearby Silom Road, where there are bars and entertainment venues alike. 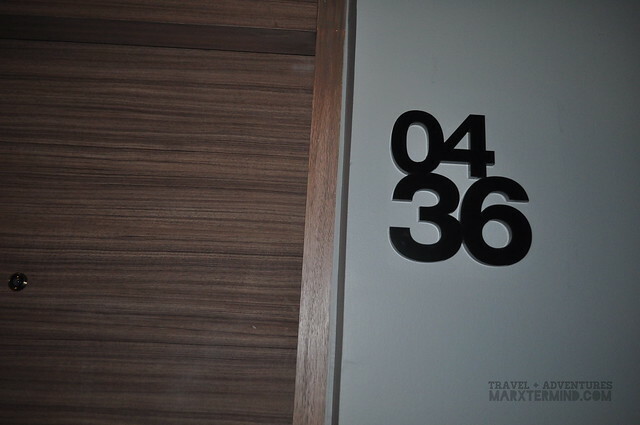 It was already past midnight when I went back to my hotel. I was left with few hours to make a sleep since we will be visiting a nearby town in the morning to see some remarkable temples. Despite of it, my comfy bed and soft pillows gave me the soothing and relaxing snooze that I want. Aside from the adorable room feature, few more things that I adored about the hotel are their amenities. The hotel provides free Wi-Fi. 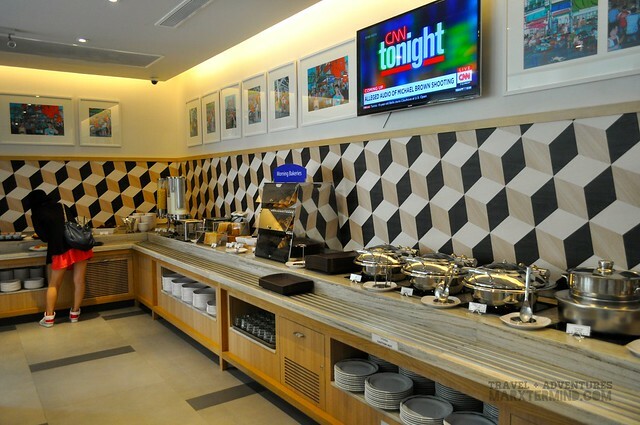 The hotel also provides free breakfast buffet. 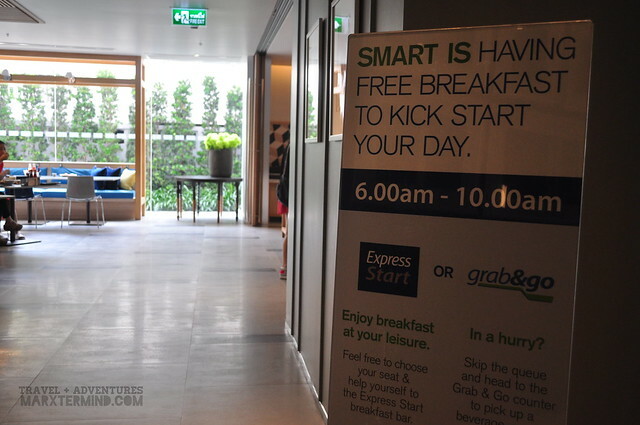 It was the next day when I had able to try what they call Express Start Breakfast. What I liked about it was they are simple yet relishing and satisfying. If you’re on the go and in a hurry, you can even grab some and have them takeaway. 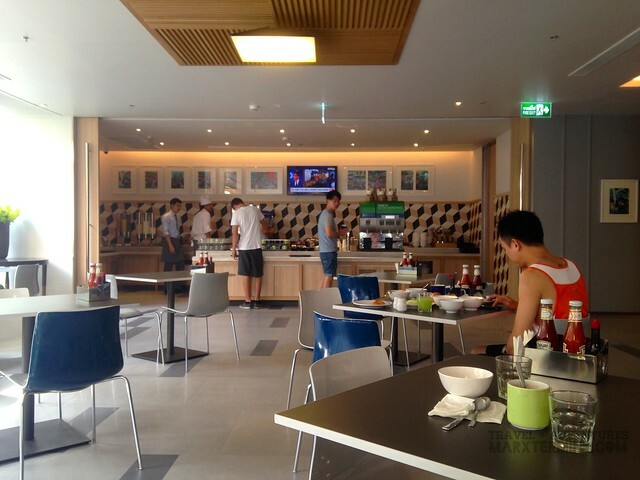 Breakfast normally includes fruit, cereal, rice, pastries, egg, sausage and beverage selections. 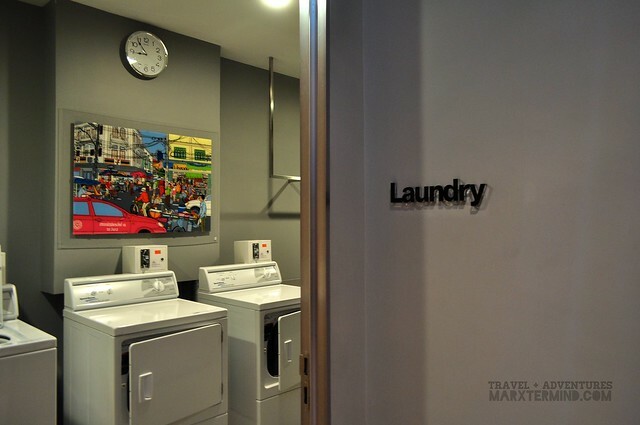 The hotel also offers other amenities like business services, usage of PC, health and fitness center, housekeeping and laundry services, and other things. 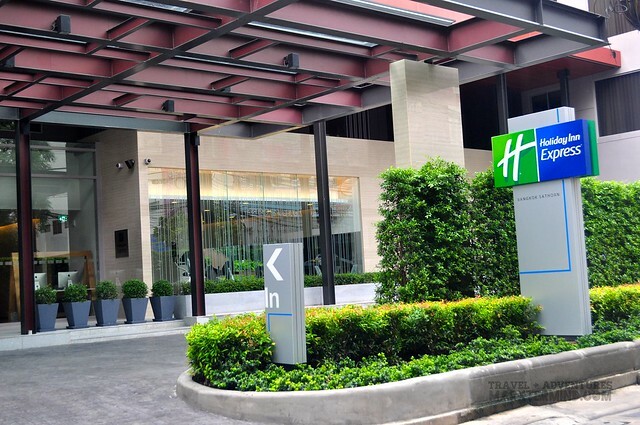 With convenient location, finest rooms and favourable amenities, Holiday Inn Express Bangkok Sathorn is rightly a great choice to stay when visiting the capital city of Thailand. It provides a relaxed, affordable and hassle free stay. 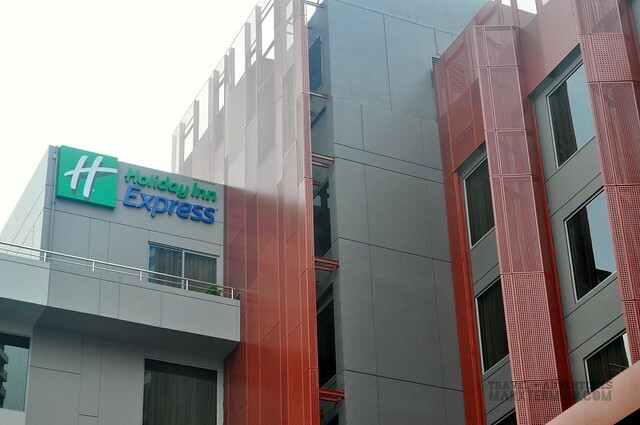 Although my stay in the hotel was a quick one, I was still grateful that I had able to experience the luxury of staying in a nice hotel that provides smart comfort, which is Holiday Inn Express is branded for.